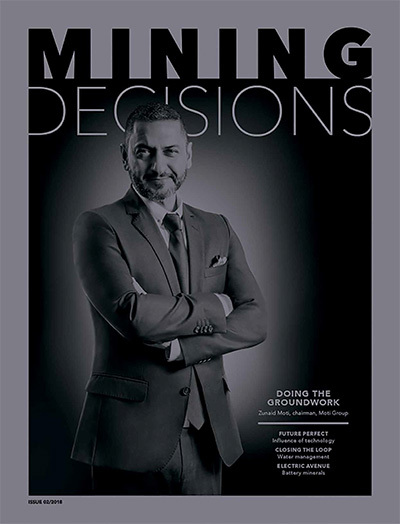 The World Bank, in a 2015 report, notes that mining demand for power in the region has the potential to reach 23,443 MW by 2020, a significant portion of which will emerge from outside South Africa, from where demand has typically come. The report also highlights that mines are considering the way they source power, traditionally from grids that in many cases have proven inadequate, unreliable and expensive for distribution or extension to mining sites. Self-supply is fast becoming the popular alternative, presenting opportunities to sell back to the grid and thereby adjust economies of scale. It’s a trend that’s expected to continue its upward climb from 6% in 2000 to 18% by 2020. The mining sector is also under pressure to find more sustainable power sources, especially given the high cost of fuel for the intensive smelting and refinement cycles, which generally account for three-quarters of the power demand. Against this backdrop emerges the relatively new entrant ContiPower – so labelled because, since its inception in 2006, it has predominantly focused on other sectors, national supply and support of energy generation – especially in South Africa, where it is headquartered. It’s in the Southern Africa region that ContiPower has gained a reputation for the successful delivery and commissioning of a notable number of large power transformers to the public sector and some mining houses, explains ContiPower CEO Mholi Majola. ‘We have essentially been breaking the mould, displacing some of the long-established suppliers of electrical equipment by setting a new benchmark, and along the way garnering recognition for our quality of supply. Energy-generation solutions from the organisation, aside from the traditional, focus on the use of innovative, alternative and renewable energy sources, be it solar PV or cogeneration (waste heat to energy). ‘We customise bespoke solutions for each operation and offer customers a choice of a once-off solution or to enter into power purchase agreements [PPAs],’ says Majola. Due to its strong global and local partnerships, ContiPower has the ability to offer a complete repertoire of appropriate – and specialist – solutions, often exceeding client specifications. The construction of a number of engineering, procurement and construction medium-voltage substations, up to 132 kV for example, has been achieved through a collaboration with international high-voltage substation and system partners. ‘Other flagship projects for ContiPower include the installation of transmission line projects for the mining industry,’ says Majola. ‘Achieved with an excellent safety record, they also present environmentally friendly, high-quality engineering and project management aligned to client specifications. Currently the ContiPower range of products includes power transformers, inclusive of dry type; ring main units; switch disconnectors; medium- and high-voltage switch-gear; medium- and high-voltage insulated busbar systems; medium- and high-voltage instrument transformers, inclusive of a unique combined current transformer/voltage transformer unit; low-voltage switchboards; and motor control centres. All are certified to meet – or exceed – relevant International Electrotechnical Commission standards. Further enhancing its value-add is the company’s after-sales support and product training. ‘Where applicable, we ensure that customers’ staff are competent in operating and maintaining all our products,’ says Majola. The practical operational training Conti-Power provides to mining operation staff during this phase includes basic troubleshooting, to ensure fault anomalies are covered or minimised. Where practical, ContiPower maintains sufficient spares in strategically located warehouses, including components and complete units. ‘This allows operational flexibility and guarantees minimal production downtime in the event of any failures,’ says Majola. Providing a bespoke service means ContiPower has the ability to provide guidance and recommendations where there is technical uncertainty from a customer. ‘Ever mindful of the reputation we worked so hard to earn, we will never overextend ourselves,’ says Majola. 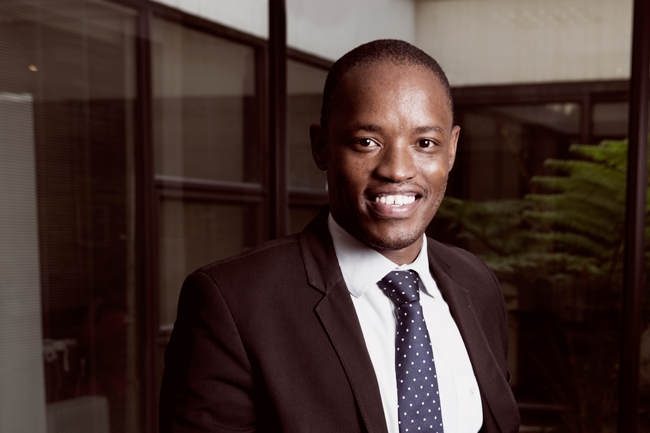 Majola believes this principle is a major differentiator, especially for a medium-sized enterprise such as ContiPower. ContiPower has the added advantage of localisation, commitment to understanding a client’s marketplace and needs, as well as the legislative framework of the region within which it operates. Flexibility and accessibility are also crucial to mining operators, both of which form the foundation on which ContiPower’s services are built. ‘We are able to accommodate tight delivery schedules, as well as meet the increasing requirement for price-competitive products and services, and responsive engineering power solutions,’ says Majola. The company has proven this successfully in South Africa, Namibia, the Congo and Uganda, and is looking to expand into Botswana, Zimbabwe and Kenya in the medium term. However, it is open to enquiries from across the continent. ‘With the backing and endorsements we have secured from our global partnerships, we are able to tap into cutting-edge technology and trends,’ he says. ‘We employ techniques and processes that are at the forefront of advancement, to the point where we are able to develop and adapt products to be fit-for-purpose yet still meet all required industry considerations and standards.’ Such accreditations and certifications include ISO:9001; ISO:14001; ISO:18001; and ISO:17025. Another is ContiPower’s Level 2 BEE rating, a South African policy requirement determining the extent to which companies embrace broad-based black economic empowerment. In ContiPower’s case, it is 93% black-owned, 40% of which is share-owned by black women, and 7% by an education and development trust. 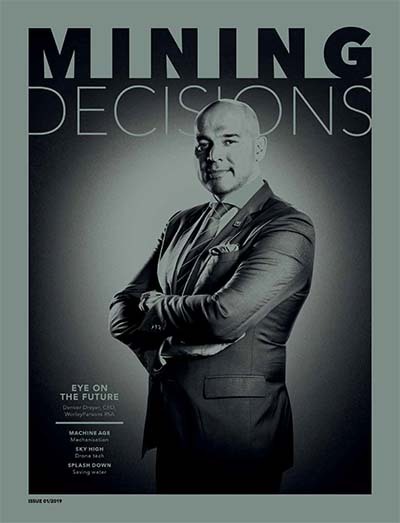 With internally measured customer satisfaction levels of more than 90%, as well as a 100% rating for the high-quality supply of its products and services, Majola confirms that ContiPower is driving – and linking – its sustainability criteria into and with the future of Africa’s mining industry. ‘ContiPower is creating new opportunities for the private sector and entrepreneurship,’ according to Majola.